Our bespoke Social and Emotional Learning Aspects of Learning (SEAL) curriculum supports children’s personal development and emotional growth. Our goal is to support every child to become self-aware, socially responsible and to improve their resilience. Our Behaviour Policy is based on our interdenominational Christian ethos. The key guiding principles for our children are: – always to treat others as you would like them to treat you; and, be kind, polite and respectful towards others. In addition to their academic teaching responsibilities, each Form Teacher has primary responsibility for the pastoral welfare of the children in their class. It is the Form Teacher with whom parents make initial contact regarding any concerns that may arise from time to time. The Form Teacher is supported in this role by the Deputy Head who coordinates all aspects of pastoral care. Whole-school issues such as anti-bullying, safety in school and the community are highlighted regularly in Assemblies, House Meetings and in Form Time. 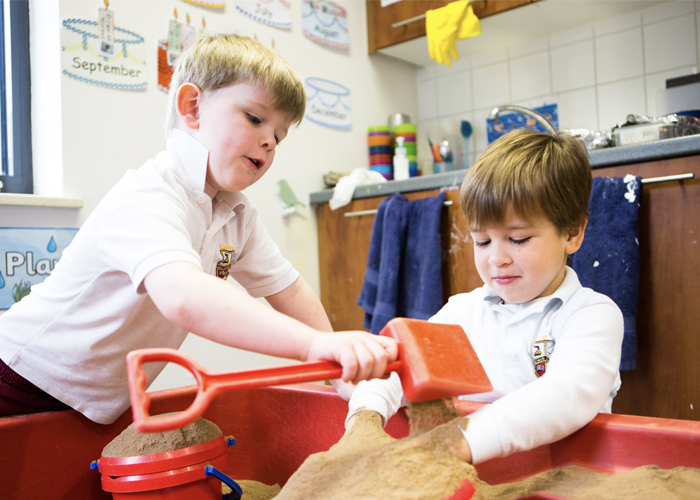 Every pupil in the Prep Department is enrolled in one of four Houses: Edwardes, Pringle, Toone or Collings. The House System gives children a strong link with other children across and between year groups. There is a House Teacher in charge of each House and all pupils in Form VI become House Leaders during their final year in the School. The House system allows for vertical integration and there is a mentoring system allowing the older pupils to help and support the junior pupils in their House. House points are awarded to pupils for academic performance, effort, general good behaviour and service to the School. The House with the most number of points at the end of each term is rewarded with a party, and at the end of the school year, the overall house winners and Form VI leavers are invited to a special celebration, the Leavers’ Supper. Blackrock College, CBC Monkstown, St Michael’s College and Clongowes Wood College. Rathdown School and Holy Child Killiney. St Andrew’s College, St Gerard’s, St Columba’s College and Sandford Park.